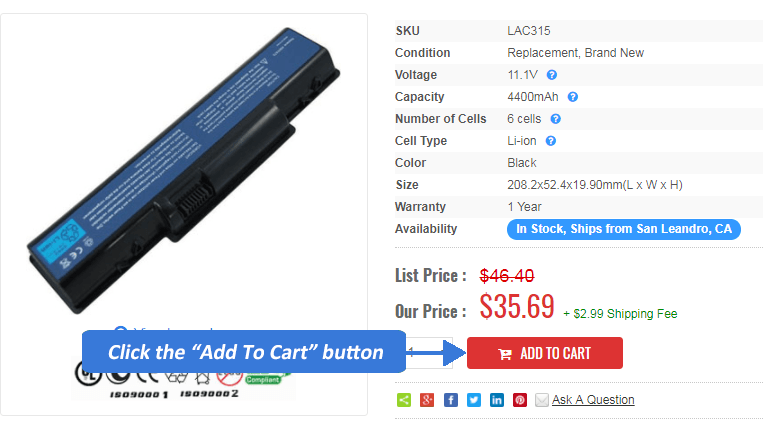 How to make order from AcerLaptopBattery.net? To place an order from AcerLaptopBattery.net is easy. We have provided here with a guideline to assist you on how to place an order with us. 1Search or browse products, and if you wish to buy them, type a number in the quantity box and click "Add to cart". You can add just one piece item if you want. You can remove them later or adjust the quantities if you change your mind. Products you've added to your shopping cart are saved there while you looking at more items. Your cart is even saved for next time if you accidentally close your browser. 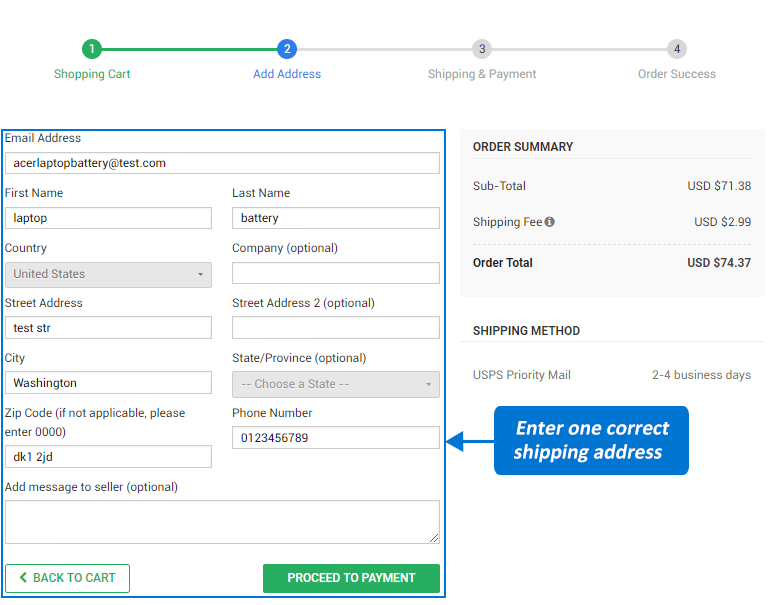 2Your shopping cart will show the estimated total cost and shipping methods for your order. 3The first checkout page is "Add Shipping Address",you can add or change shipping address, and enter "Special Instructions Or Comments" for your order. e.g. to an different dropship address. 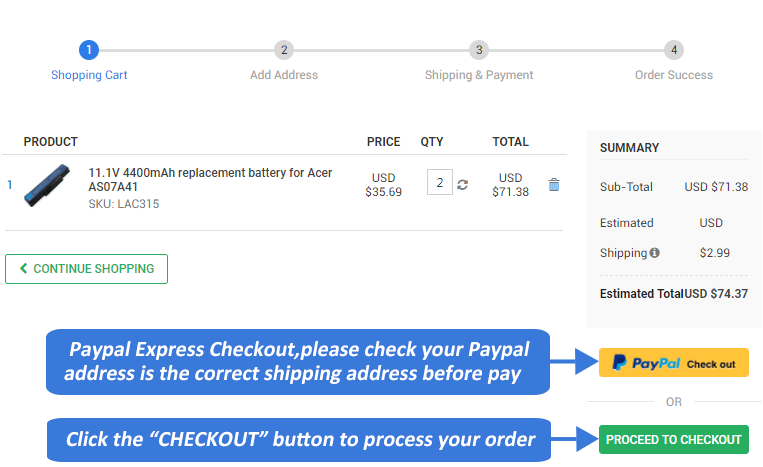 4The second checkout page is "Order Confirmation", allow you to review your details. 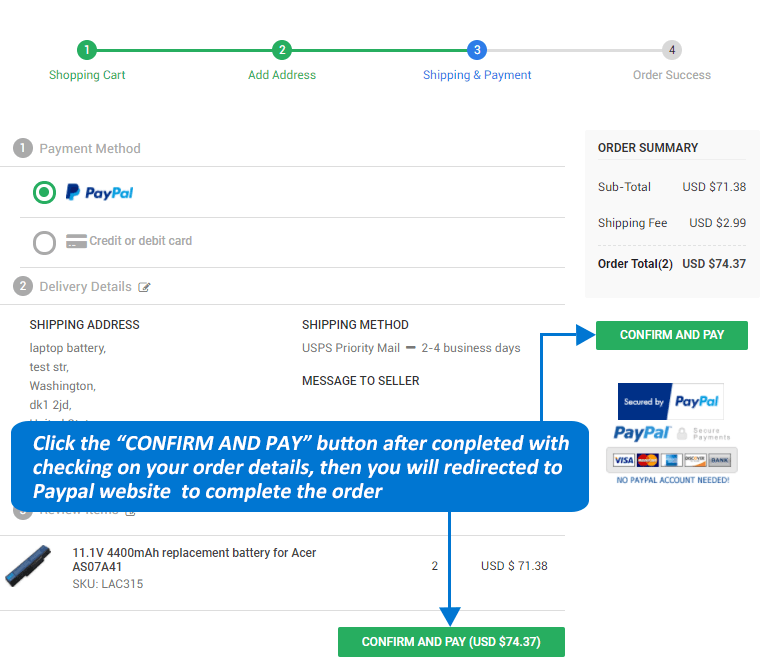 5Click "Pay Now" to create your order first and then be immediately directed to Paypal to complete your payment. You will receive an email confirming your order information. We will begin processing your order when payment is received. After we send out your order,We will email you the tracking number and tracking links to your order email address.